CFDEM®coupling features convective fluid-particle heat transfer. The examples below illustrate some of the capabilities and the applicability of CFDEM®coupling for heat transfer simulations. Heat transfer model includes particle-particle heat conduction and fluid-particle conductive heat transfer. 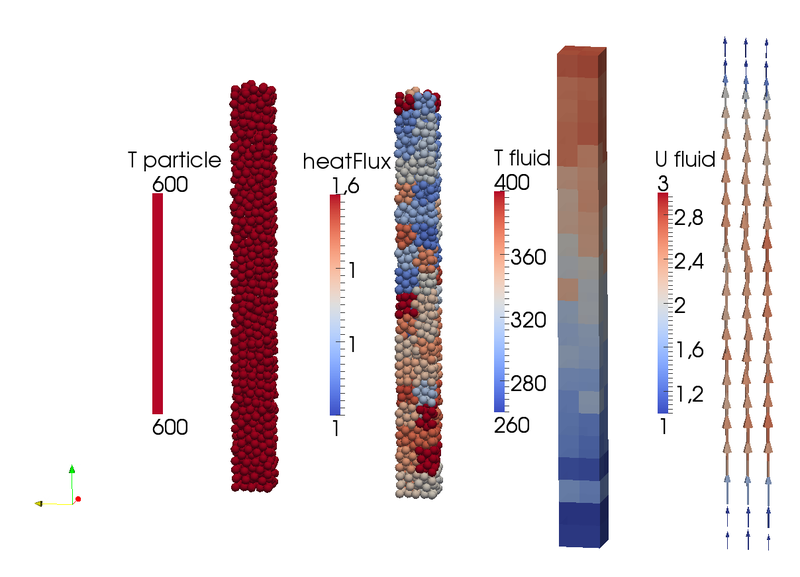 The animation shows (1) particle temperature (constant), (2) convective fluid-particle heat transfer, (3) fluid temperature, (4) fluid velocity.